Constitutional Mismatch Repair Deficiency is a rare inherited cancer syndrome affecting children. Early diagnosis is important but challenging and the first symptoms often don’t appear to have anything to do with cancer. This project is looking at a new test that should allow us to identify children at risk – before they get cancer. Because cancers are rare in children, and Hodgkin lymphoma usually shows as lumps in the neck and more general symptoms such as tiredness and night sweats, doctors often think it’s something common like glandular fever. A new blood test could make diagnosis easier. Constitutional Mismatch Repair Deficiency (CMMRD) is a rare inherited cancer syndrome. It’s caused when a child inherits defective genes that are important in the repair of damaged DNA. There are four genes that are known to cause CMMRD if defective. These genes are all important in repairing damaged DNA; without them the DNA becomes unstable as mutations accumulate, leading to the development of cancers. Patients with CMMRD are typically children, and many of them don’t survive. So we need a way to diagnose and treat CMMRD early. It’s difficult, because early symptoms aren’t always cancer changes. They can be very small things like a change in small areas of skin pigment, which could be as a result of something else. There is a simple test to detect defective repair in blood DNA that we can use to check if we think a child has CMMRD. But at the moment it can only identify defects in three of the four genes associated with CMMRD. So children affected by the fourth gene, MSH6, aren’t identified. This project is looking a new test for these children. Because children’s first symptoms often aren’t specific to CMMRD, it’s hard to diagnose, but we need to find it early if we’re to make life better for the children affected by it, and their families. This project will develop the existing test to reliably screen large numbers of children we think might be at risk of cancer because of CMMRD. This would help us find children who already have cancer at an earlier stage of their disease. Crucially, as the test detects changes in DNA from blood rather than relying on the presence of tumour DNA, it could identify children with CMMRD before any cancer has developed. Identification of CMMRD patients at an earlier stage of their disease, or before any cancer has developed will allow us to treat them much earlier. Children will be better monitored and treatment provided at an earlier stage, allowing it to be far more effective and helping children with this condition to have longer, better lives. Dr Ian Carr is a Lecturer in Bioinformatics at the University of Leeds. He has extensive experience in the techniques and analysis required to carry out this work. The University’s DNA sequencing facility, which is headed by Dr Ian, has all the specialised equipment needed for this project. 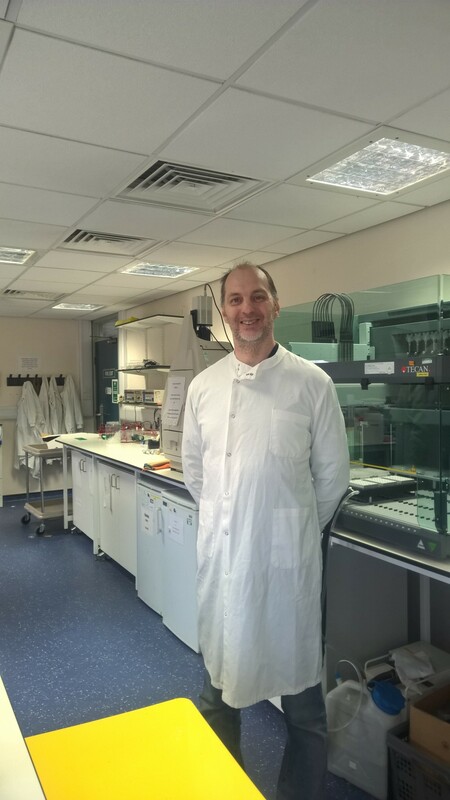 Dr Ian is collaborating with Eamonn Sheridan, Professor Clinical Genetics at the University of Leeds and Consultant Clinical Geneticist at Leeds Teaching Hospital NHS Trust, providing access to the DNA samples required as well as Professor Eamonn’s expertise in managing this disease. Find out more about our research projects!